September marked the starting of autumn seasons, the landscape silently explodes with vibrant colours of red, yellow, and orange. The leaves begin to drop off the trees, provides picturesque images, before the temperatures bein to drop, nights get longer and all the crittees storing up for the long winter, why not having an escapade? Few weeks ago we went to Pocheon, It’s located about an hour and a half from Seoul This little town had Pocheon Art Valley and Herb Island as their mostly visited place. From Uijeongbu Station at line 1 exit 6 take bus number 137, or 138 until Gichi-2ri Sinbokmyeon Samusu Station (기치2리 신복면 사무소) from here you can choose either take bus number 87-1 or 87-2, walking arounds 20minutes or using taxi for around 5000 won. From art valley to herb island, from Gichi-2ri Sinbokmyeon Samusu Station (기치2리 신복면 사무소) take bus number 61 to Samjeong-2ri (삼정2리)and walk for 10 minutes to herb island. Pocheon Art Valley was once an old stone quarry. This quarry was abandoned back in the mid 1990’s until October 2009 when the Art Valley opened to the public transformed into a beautiful art park with various sculptures, a performance stage, lookouts, and of course the crystal clear lake in the center of the pit with enormous cliffs that drop off into the lake. From the parking lot you have two options to get to the main park. Using the monorail or just walk up the hill. The hill is a little steep but it’s still good enough to hike it will takes about 15 - 10 minutes to the top. Once at the top of the hill you choose either enter the space astronomical science museum which comprise the exhibition hall for space, cutting edge 4D video room, and astronomical observation room that offers constellation reading or walk to the quarry pit which is filled with crystal clear water. The friendly worker will greeted as soon as you see the hill on the way to the herb island, here is where you need to pay the entrance ticket. Immediately when you reach at the venezian island various herb scents will welcomes you. This is a great place to take all sorts of pictures. There were a lot of shops here and most of the products are made using herbs from soap, candle, tea, lotion, parfume even bread and cookies too. 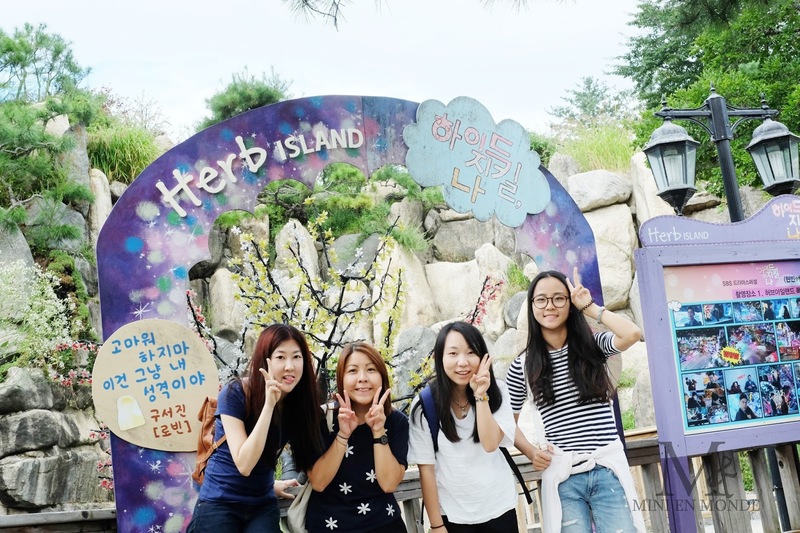 Herb island also has a library, aromatherapy room, the biggest herbal museum in korea with more than 340 kinds of herbs, and formal restaurant too. Make sure you have enough time to explore the whole site here. You can also check their site for various activities like soap, cosmetics, making phone case,or wine. Hi, what is the bus frequency interval of bus 137 or 138 and how much is the travel time from uijeonbu terminal to gichi-2ri and gichi-2ri to art valley? From euijeongbu to gichi2ri is around 1hours 20mins but when i went there it takes me less than 1 hour though..
Hi! How did you get from Art Valley to Herb Island? What buses did you take? Can you give an overall breakup of the cost? Like..transportation, food, entrance fee etc? I'm thinking of avoiding Trazy as they they'll obviously charge extra. transportation cost will be depends on which station you will be departing, and what kind of transportation you take, plus 5000won admission fee. if you take subway and bus to go there it may cost you around 10000 won only for the round trip. But if you don't speak or read Korean i think trazy will be more convenient because they also go to several area not only to pocheon art valley. Hello, thank you for all the precious information! Did you manage to have your meal in any galbi restaurant? I understand that Pocheon is famous for their galbi, but Idong galbi seems to be a bit out of the way. As such, is there any galbi restaurants between herb island and the valley? hmm nope i didnt went to the idong galbi village at that time because its the way too far from both of those destination. Actually you can get your galbi during ur trip to suwon, compared to pocheon, suwon galbi is the way better.